Tony Gibson was unpegging his bivvy at the end of a three-night session at Bluebell Lakes when he latched into this 50lb 2oz common. The venue regular, who is chairman of the Northampton Specimen Group, planned his session on Swan Lake to take advantage of low air pressure and big winds. 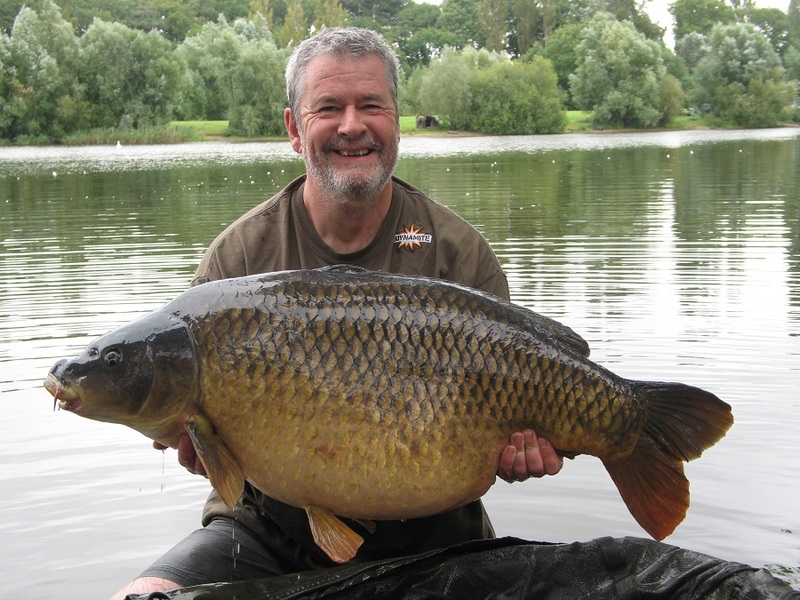 His prize, the fish known as the Box Common, is one of at least three 50s in the day-ticket venue. “On the last morning I was actually well on with the job of packing up,” said Tony. “I was in the middle of unpegging the bivvy when the right-hand rod signalled a steady run. “When it turned over near the surface, just under the line of the middle rod, I got the impression that it wasn't particularly big. Tony, who admitted he was surprised at the fish’s weight, fished a spot in the middle of the lake nearly 70yds out.